I heard this story told by Joyce Meyer and I’ve always loved it so much I thought I’d share. Isaiah 64 vs 8- Yet O Lord, You are our Father, we are the clay, and you our Potter, and we all are the work of your hands. There may be things going on inside of us that we don’t understand. But when we finally arrive to the place where God wants to bring us, we will see how it has prepared us for what God wanted us for all along. Im thankful each day because though I am still a work in progress, I know that his work (his masterpiece as he calls me) is being made PERFECT!! 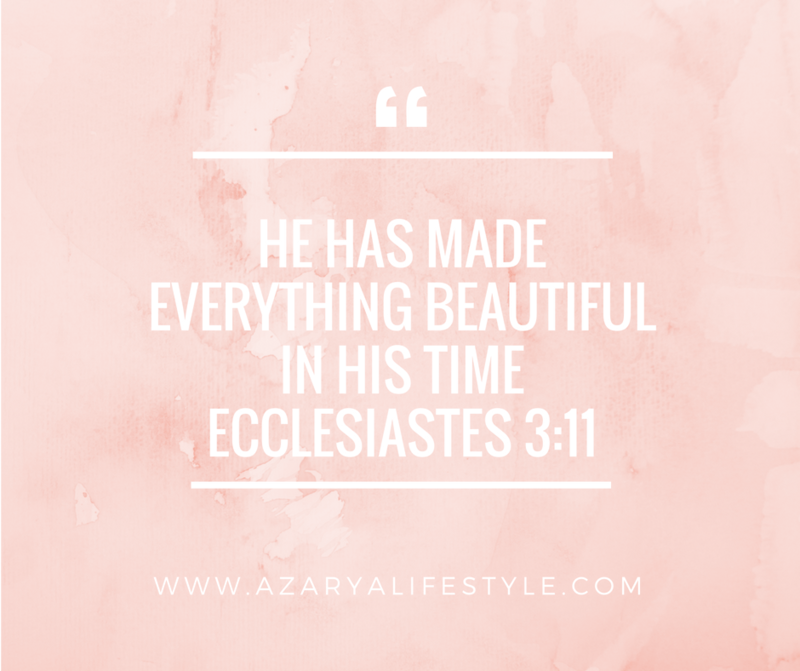 His word says that he has made everything beautiful in his time (Ecc 3:11).